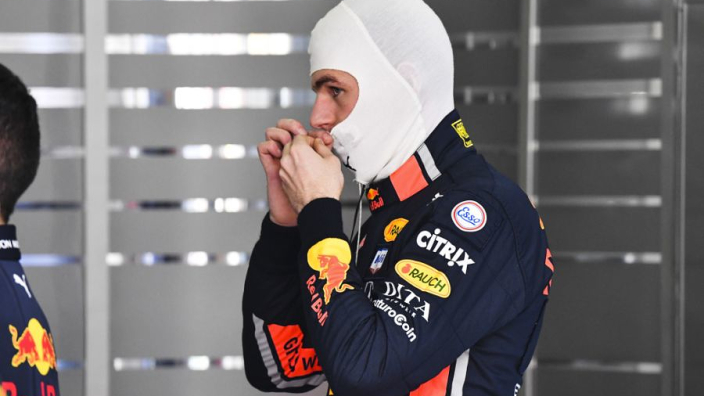 Max Verstappen vowed revenge after being held up and denied a last flying lap during qualifying for the Chinese Grand Prix. Verstappen will start the 1000th World Championship race in fifth, but showed he had the pace to fight Ferrari for third place. Verstappen failed to pass the start-finish line before the chequered flag fell, having been held up by the slow-moving Ferrari of Sebastian Vettel as traffic caused chaos at the end of Q3. The Dutchman was furious after the race as his courtesy not to overtake the German came back to haunt him and said he would not be so sporting in the future. "We were just staying neatly behind each other, but at a certain point Vettel passed me and the two Renaults as well,” he told Ziggo Sport. Explaining the incident to Sky Sports: Verstappen said: "We started to follow the Ferrari in front of me and I was trying to be nice. "I could also have overtaken him but it's not what you do in qualifying. "This time it caught me out so of course I'm not happy about that, but it will swing around and it will come back to others as well. "Sometimes it's annoying because we could have fought for third today but now we just have to do some more overtaking. "It was there, we were fighting for third."